Why Does Hershey’s New Logo Look Like the Poo Emoji? Neuroscience Explains. Penn State College of Medicine is located in Hershey, the “Sweetest Place on Earth.” We’re surrounded by references to chocolate everyday—from the smell of it in the air to Kiss-shaped streetlamps to chocolate-brown paved roads. It’s a pretty sweet life. So when The Hershey Company unveiled their new logo last month, I didn’t find anything unusual about it. 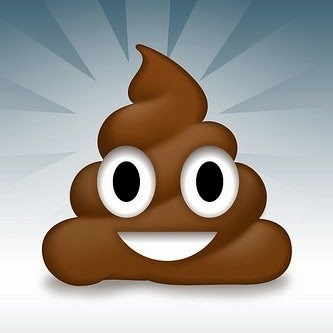 That is, of course, until the Internet began comparing it to the poo emoji, popularized by Apple. Even after seeing the comparison, I still didn’t know what the big stink was about, so to speak. Why did some people immediately see a big, steaming turd when, obviously, it’s supposed to be a drop of chocolate topped with the iconic Kiss flag? Actually, understanding the cognitive processes behind visual recognition can explain everything from Hershey Kiss poop emojis to why we perceive animals in clouds and Mother Mary’s face in a piece of toast.